Customers need to key in the promo code DPVL35 when purchasing their tickets online and selecting the relevant visit dates. Offers are not exchangeable for cash or other items and cannot be used in conjunction with any other discounts, privileges, promotions, discount schemes, loyalty programmes, discount cards or vouchers, unless otherwise stated. 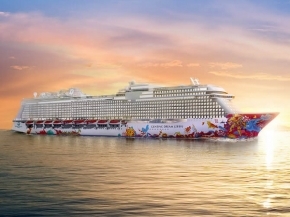 Offers are subject to service and/or government tax, unless otherwise stated. An adult must be accompanied by a child. Any children below 8 years old must be accompanied by a person of at least 18 years of age to enter KidZania Kuala Lumpur. Entry to KidZania Kuala Lumpur is subject to maximum park capacity. KidZania Kuala Lumpur’s operating hours may be subject to change without prior notice. The Management reserves the right to change the terms and conditions of this promotion without prior notice. Other park rules and regulations apply. 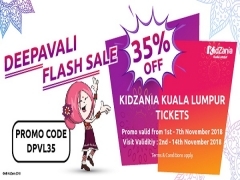 Check out KidZania Kuala Lumpur for more details about this offer and to see all deals up for grab!